Vernonia x ‘Southern Cross,’ a hybrid of V. lettermanii and another unknown broad foliage species, attracts butterflies and has strong upright stems that stand up most of the winter and silvered seed heads going into winter too. Photo courtesy of Intrinsic Perennial Gardens. Gardeners’ growing awareness of the need to plant with pollinators in mind has awakened a greater interest in native plants. But while demand for native plants and their cultivars is on the rise, so are the challenges with educating consumers on selecting the right plant for the right place, and the right pollinator. Bill Jones, President of Carolina Native Nursery in Burnsville, NC, says external influences such as declining bee and Monarch populations have had a big impact on educating the public and building support for native plants. Outside groups that are looking to facilitate change are coming into play more often and starting to drive demand. 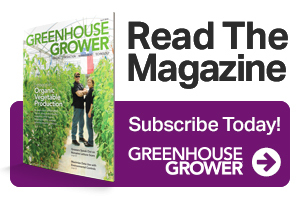 This opens the door for retail growers and suppliers to fill the void, Koehler says, if they think outside of the box in regard to how these plants are best grown and work with the natural cycles of the plants. As consumer requests for natives grow, offering better education across the board about these plants’ purpose and function is increasingly important. This is especially true for pollinators that specialize in one type of plant or flower. The public wants to attract bees and butterflies. Unfortunately, they don’t always understand the precise needs of specialized native pollinator populations, so they may buy the wrong plant by mistake, says Jeremy Spath, Breeder and Curator at Rancho Tissue Technologies and Rancho Soledad Nurseries. 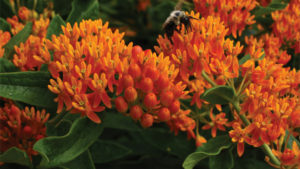 Some customers just want something that attracts bees or butterflies and don’t know they’re looking for a native plant. Yet retail employees helping them often don’t know what plants pollinators like, either. This is why branding and informative tags are critical tools that help educate consumers and staff about native plants and the benefits they provide, says Peggy Anne Montgomery, Brand Manager at American Beauties Native Plants. Along with improved educational efforts, a shift in focus from form to function may be what catches consumers’ attention, because they’re not fixated on the plants, but rather on what they can do. Millennial gardeners naturally focus on the function of plants, as well, with their appreciation for the contributions that plants make to mental and physical health and to the environment. Since native plants and ornamental grasses fit easily into this slot, Jones says this is a way our industry can sell to the Millennial generation, who are environmentalists at heart. Carolina Native Nursery’s tagline targets Millennials and reminds its customers about its environmental focus with its “We’re saving the earth one plant at a time” message. Thanks to greater awareness of pollinators, honeybees or butterflies flocking around a plant in your sales yard may draw their attention better than the plant itself. Photo courtesy of Emerald Coast Growers. Natives Vs. Nativars: Do Pollinators Really Care? Any time talk turns to native plants, differences of opinion often occur about what truly constitutes a native and if the definition should include cultivars of native plants. Instead of focusing on semantics, the better direction to take would be to concentrate on which ones benefit pollinators. Native-only proponents maintain that straight species of native plants provide genetic diversity, which guarantees long-term persistence and more resistance to disease, and that unwanted cross-pollination can produce undesirable traits. Because breeders often propagate cultivars vegetatively to preserve their selected traits, these plants don’t have natural reproduction patterns that result in greater diversity of the crop, and the end result may be diminished selections of native plants. Growers must consider propagation methods when working with native plants and grasses. 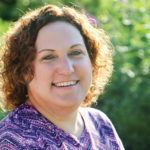 While they can grow native species from seed, they can also grow native species and native cultivars using asexual methods including tissue culture, division, and cuttings, says Shannon Currey, Marketing Director at Hoffman Nursery in Rougemont, NC. With any asexual propagation method, you lose genetic diversity in the crop. Of course, every customer is different. 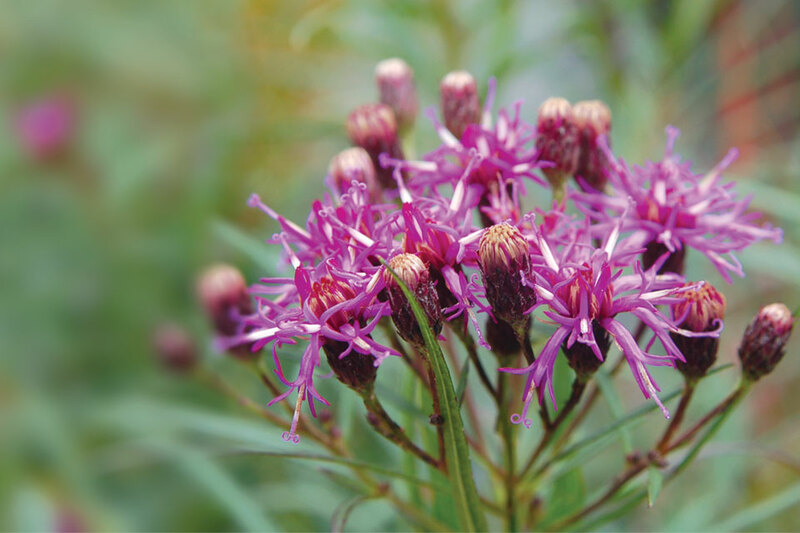 Although some native plant proponents avoid cultivars, many in the industry believe that both natives and their cultivars have a place in pollinator gardens. The type of plants the customer uses depends on the customer and purpose for which they are intended and their unique landscape needs. Currey says demanding that only native species can be used in pollinator gardens may even reduce the likelihood that people will use natives at all. Koehler agrees, saying that native straight species are always more beneficial to enhance or create ecosystem services, but if using nativars is a pathway for gardeners to incorporate more native plants into the landscape, she is all for it, as long as there is a balance. Garden and educate both kids n adults in why I choose it and its visitors . If we have activity in the garden , our human visitors are happy too . A wild garden can be kept trimmed and mulched and fit into our manicured world ! Here in Cincinnati we created a list of plants trialed at our Botanical Garden and Zoo that were shown through zoo research to have pollinator preference and garden performance. We further labeled these plants at the retail level to make them easily identifiable for consumers. Its really a neat program that can be re-created elsewhere. We are continuing to trial new plants and add them to the list. Check out http://cincinnatizoo.org/horticulture/zoos-best-plants-for-pollinators/ for more info. I’m lucky – I live near a swamp and have wild milkweed that moves from one area of my yard to another. Last year I saved the silk pods, and the other day shook them loose. I figured the birds would also put them to good use for their nests and food.